They used Coca-Cola syrup as part of a lubricant that produced negative friction. The main character tried it on his bicycle (which sped up to very unsafe speeds) and later this was being industrially manufactured. The main character gets arrested and questioned as to what he most dislikes doing. To fool the automated system, he said he hates inventing and building things, so the prison system makes him invent things (which he enjoys). The main character somehow was able to photosynthesize. This might be a series of books from the same author. 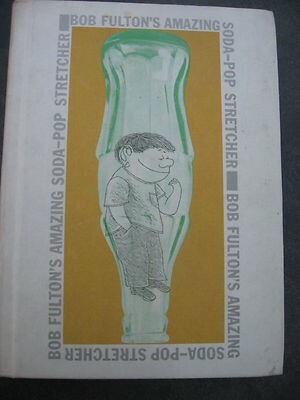 Bob Fulton's Amazing Soda-Pop Stretcher: An International Spy Story (1963) by Jerome Beatty Jr.
Child prodigy Bob Fulton invents a machine that will turn one bottle of soda pop into several. Something goes wrong and the machine explodes. That's when he discovers it turned the soda into the perfect frictionless lubricant. His sister and her friends use it to travel on their bicycles at about sixty miles an hour. This attracts the attention of a local scientist. And the attention of some international spies. Hilarity ensues. There was a later book in the series entitled Bob Fulton's Terrific Time Machine. Not the answer you're looking for? Browse other questions tagged story-identification young-adult childrens-novel soft-sci-fi or ask your own question.